It has been a minute since I last posted some photos of my wonderful crochet creations. Despite my silence, my crochet hooks and I have been quite busy in these past months. Right now, Interwoven Creations by Crystal is preparing for the holiday gift-giving season. Our most recent projects were two baby blankets featuring the traditional Granny Square pattern. I enjoy crocheting the Granny Square for several reasons. The main reason is because of tradition. The Granny Square was the first pattern that I learned as a child. Whenever I create a beautiful item featuring the Granny Square, I hearken back to the creativity of my youth. 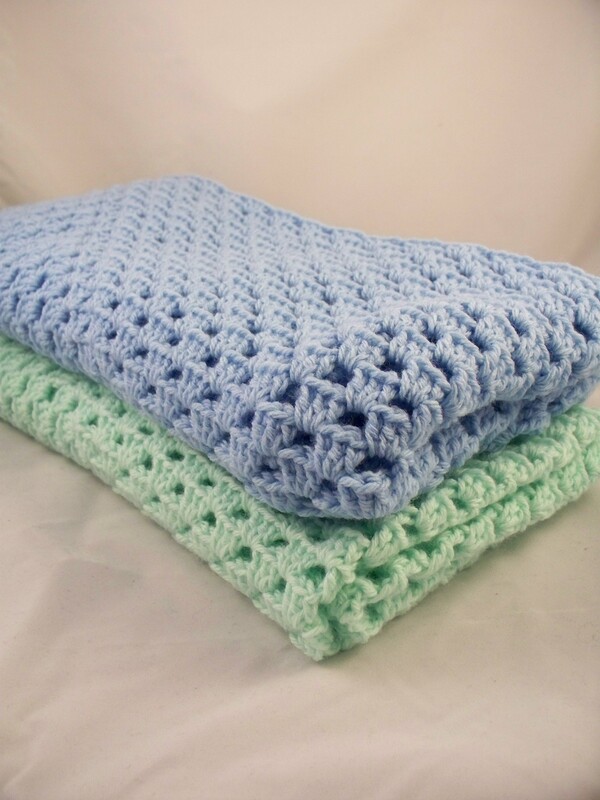 I chose pastel blue and pastel green for these soft baby blankets because those colors can fit most decor. Let us know what you think. Previous Post HAPPY BIRTHDAY TO ME!!!! !